Frankfurt, 22 June 2017. From 9 – 11 July 2017, gardiente – Trade Fair for Garden Living – once again presents a high-quality product portfolio with more than 90 brands and offers visitors as well as exhibitors with its early date the best conditions for an efficient assortment planning. Attractive networking formats ensure a lasting exchange of experience and provide valuable contacts to industry and commerce. For the first time ever exhibitors at this year’s gardiente could enter their innovations from the fields of garden furniture, sun shades, BBQs, textiles and accessories for the “gardiente Outdoor Living Award”. The criteria for judging the product entries included aesthetics, design, innovation, functionality and sustainability. The response was great – half of all exhibitors took advantage of this opportunity and submitted their products. A jury of experts from the fields of science, journalism and design has already made a preliminary selection from all the entries, which will be displayed in a prominent location in the TrendArea during the gardiente. 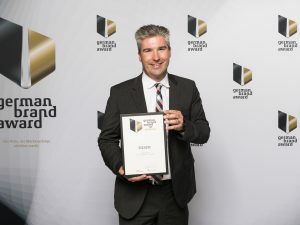 The 13 nominees are: Alexander Rose, Clifton Outdoor Fires, DekoVries, Epstein-Design Leuchtenmanufaktur, H. Gautzsch (Siena Garden), Hartman Outdoor Products, Jan Kurtz, Kettler, NARDI, PLINTHIT, Sieger, Stern and ZEBRA. The final selection will be made on 9 July 2017 and will culminate in the Awards Ceremony held at “gardiente night”. The idea behind this new “Industry Award” is to highlight outstanding ideas and trends for the coming season. The gardiente is back in summer with full halls and a high-quality product portfolio. Newcomers to the fair include Jan Kurtz, MONOLITH, Müsing, Napoleon, Weber and Zumsteg. With an even broader range of the BBQ and Grilling sector this year, visitors will get a holistic overview of the range of outdoor living products. Clifton Outdoor Fires, Freiluftküche Edinger, HaJaTec, Tom Cococha, MONOLITH, Napoleon and Weber will present their latest trends in our outdoor area. The brands COSI, Höfats, JOE’s Barbeque Smoker, LANDMANN, Morsø and RUMO Barbeque are also represented in the exhibition tent and in the hall. Visitors of gardiente can look forward to attractive networking formats and a succinct supporting programme. In his presentation entitled “Keep away from e-commerce? 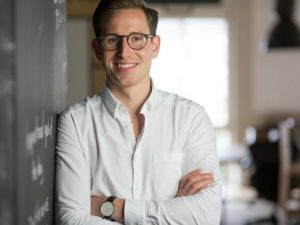 Curse or blessing for the garden industry?” Pierre Haarfeld, Partner of eTribes Connect GmbH, gives a detailed insight into the status quo in the field of garden ecommerce. He is also a source of ideas and inspiration for all attendees (Sunday, 9 July 2017 | 5pm – 5:45 pm). After a successful launch last year, “Editorial whisperings – an editor-in-chief in the spotlight” with Helmut Merkel, Editor-in-Chief of the German furniture trade magazine MÖBELMARKT, will be staged again in 2017 (Monday, 10 July 2017 | 3:30 pm). With insiders from the area of ​​outdoor living, he asks whether the issue of sustainability is perhaps only a short-term hype, or whether one does not go beyond this challenge even in the outdoor living sector. The “gardiente night” on 9 July 2017 attracts the “Who’s who” of the outdoor living sector and is a perfect opportunity for all participants to engage with each other and share their ideas. Directly after hours, retailers, visitors, exhibitors, industry service providers and journalists come together to bring an eventful day at the fair to a successful close and to network and chat over a delicious meal and good music. A big BBQ buffet served with cold beer, Rheingau wine and tasty cocktails create an inspiring atmosphere that reflects that “Summer Feeling”. The Brandlist of gardiente 2017 is online now!